Let me tell you the story of Mr. Plant. T’s what I call a little tomato plant I have. I got him a year ago at a community garden where I volunteer. He was not doing well and they were going to throw him away. It made a lot of sense, but when I saw him, I just felt bad for him. I had to take him home and try to give them a new life. I took Mr. Plant and put him in a separate pot and carried him home. At home, I started by putting him by a window, but it seemed he wasn’t getting enough light. In fact, that’s what he looked like overall. He looked like he had not been getting enough light for a long time and that’s why he was dying. Luckily, I had some spare fluorescent grow light bulbs lying around from an old project. So I decided to move Mr. Plant away from the window, where it was a bit cold and put him in the middle of my apartment. I surrounded him with fluorescent light bulbs. Let me have a quick interlude here and talk about florescent grow lights real quick. A lot of people think florescent lights only work for very young plants, like seedlings and sprouts. That is not true. Florescent lights can both grow and even flower plants. That said, they are not as efficient as HID grow lights or LED grow lights, which is what you’d use for a full hydroponic grow operation. But they are much more readily available and much cheaper to buy. Even though they cost a little more to run, if you only have a plant or two, you end up saving a ton of money using fluorescents. And that is why I used the florescent bulbs on Mr. Plant. Well, that and the fact that I had them already and didn’t have to buy new ones. They were just your standard compact fluorescent bulbs and were only about 60 watts each. They were a warmer color spectrum, which means they would work well for all stages of growth (I think they were around 3000K). After few weeks with these lights, and a lot of loving care, Mr. Plant made a comeback. He came back to life. Now, a year later he even gives me a few tomatoes. It is wonderful. Apart from adding the florescent bulbs, I also gave him nutritious soil and added a few extra nutrients in there occasionally. I even fed him some tea. That’s an old trick my aunt used to use. She used to brew a nice cup of tea for herself and always make a bit extra for her favorite plants. She swore by it. I don’t think it really makes a difference, but I don’t think hurts them either, so why not give them some tea. I enjoy it, why shouldn’t they. Anyway, as mentioned, Mr. Plant is back in commission. 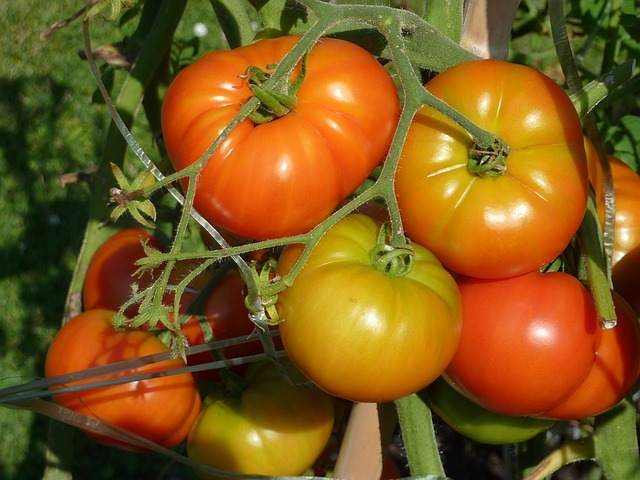 At this point, he not only looks green and healthy again, but he is also producing wonderful ripe red tomatoes. And those tomatoes taste amazing. They are so much better than anything you could buy in a store. Every week I go to a meeting of my local gardening group. 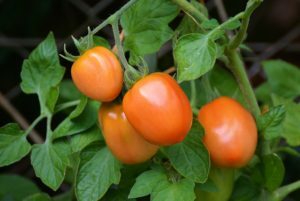 We run a small urban garden in our town and we talk a lot about that, about gardening in general and also about expanding to more urban gardens. One of the big discussions we’ve had in recent times is getting more of the local children involved and perhaps even getting a gardening program into schools. I’ve talked a lot about that on this site, but in my town, we’ve yet to implement something like that. One of the ladies in our gardening group is an avid tea drinker. She’s even gone so far as to travel to Asia simply to sample the best teas in the world and to bring some of them back. Whenever we have a meeting, she brings a new type of tea and lets us try it. This last meeting was no exception. She had even just bought a brand-new beautiful glass teapot with a see-through infuser inside. It allows you to watch the tea leaves unfurl as the hot water grabs hold of them. It’s a beautiful sight and kind of hypnotizing. 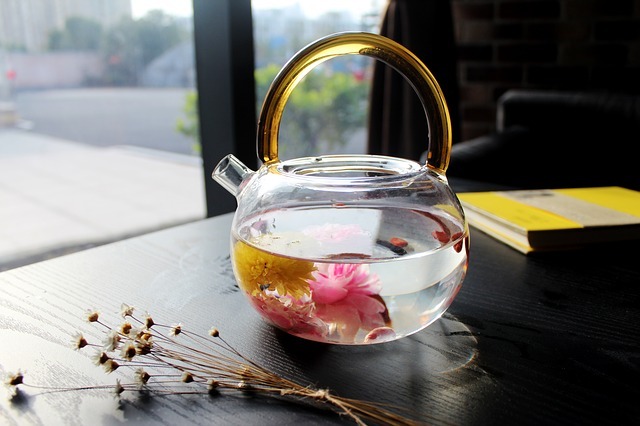 To debut this pot, she brought what is called a flowering (or blooming) tea. These teas are actually different types of flowers that are dried in a certain way that when they hit the hot water they slowly begin to unfurl. What was a little lump turns into a beautiful flower inside the pot. As it expands it also lends its essence to the tea making for a really wonderful taste. I’d never seen this before and I thought it was amazing. The following video shows what I mean. I had actually just read an article about growing tea recently, for some reason. And watching my friend’s tea unfurl in the pot at our community garden meeting, I put two and two together. Why not plant tea in our garden. Or perhaps in a new garden. Wouldn’t that be wonderful? I thought this was a brilliant idea. It was the second brilliant idea I had during that meeting. The first being that I would get my own see-through glass teapot just like hers. I also wanted to experience the hypnotizing view of tea leaves unfurling every day. I’ve been meaning to get more into tea anyway, and I think this would do it for me. It is certainly better than my current coffee habit. Now how cool would it be if I could watch my own tea leaves unfurl in that teapot. I would love to debut it with tea leaves grown in our own personal garden. Since that meeting I’ve been reading up a lot on this and it doesn’t seem that hard to grow tea. You just have to get the right plant, and my friend is actually planning a trip to China, where she can find some of the best tea plants and bring them back. So that problem is taken care of. Our garden is indoors, but tea leaves don’t need that much light to grow. The lighting we currently use, some of it fluorescent lights and some of it LED lights, will work just fine to grow tea in our garden. I don’t think we’ll even need to use natural light. In terms of environment, tea generally likes a lot of water and a lot of humidity, but the temperature doesn’t matter that much. I learned that some tea grows in very hot and humid areas, while other tea grows in high altitude cool areas. The common theme is the humidity. The best teas actually grow in cooler climates. Places like the mountains of Japan or Fujian province in China or the Highlands of Taiwan or the Darjeeling region in India. None of these places are hot. In fact only some tea, like Assam, grows in a hot region. And this is nowhere near the best tea. The best teas all seem to grow in cooler areas and high altitude areas. And we live in a cold region. We don’t have too much humidity here, apart from the summer, but we keep our garden fairly humid, because we grow a lot of plants that need humidity. I think we’ve got it all pretty well set up. The only thing left to do is get the actual tea plants and start growing. And, of course, getting my beautiful new glass teapot ready for our first harvest. I can’t wait. Community gardens have the potential to improve the lives of people everywhere crossing all boundaries of age, race, gender and nationality. These group effort gardens are making a positive difference one plant at a time. Have you ever helped a neighbor with a garden? Planted up a small container for an elderly relative? Shared fresh herbs for cooking with someone intimidated by gardening? Fixed up planters of annuals in your town square? Spent a day working with a school group sowing quick-growing vegetable seeds? Joined your coworkers as corporate volunteers weeding, raking, and mulching in a public space? Perhaps you have helped install a wall water fountain or concrete fountain. Then you are already a community gardener, part of a great social movement that has the power to transform neighborhoods, unite people who are different in many ways, and invest in the future of our children. You will find many ways to participate in this movement, and they can be as simple as donating money or offering to fund resources, or volunteering time to senior garden programs to help with hard work such as turning soil and spreading mulch. Hook up with a group of gardeners, whether it’s once a week or once a month, and you will get to know and help people that are coaxing vacant lots to life. Very few activities have a nurturing and healing quality that work on our souls and hearts the way gardening does. 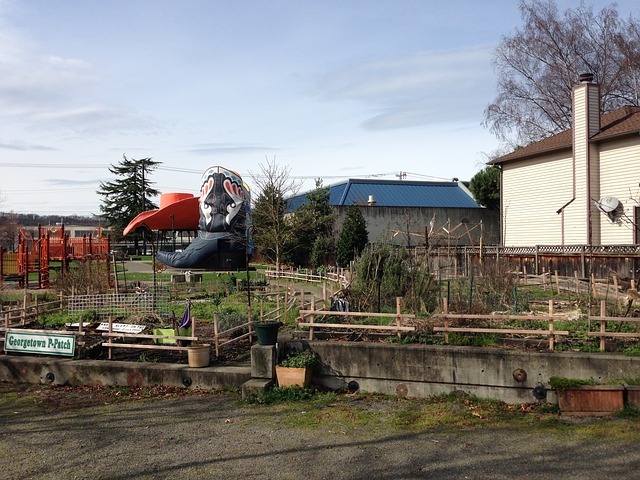 A community garden yields many benefits to a neighborhood. While an abandoned lot suggests that nobody cares, a garden creates hope through beauty. Connection to nature inspires and soothes even those just passing by. Bees, birds, and butterflies attracted to a garden are great companions, help with pollination and bug control, and remind us that we still share our world with wildlife. 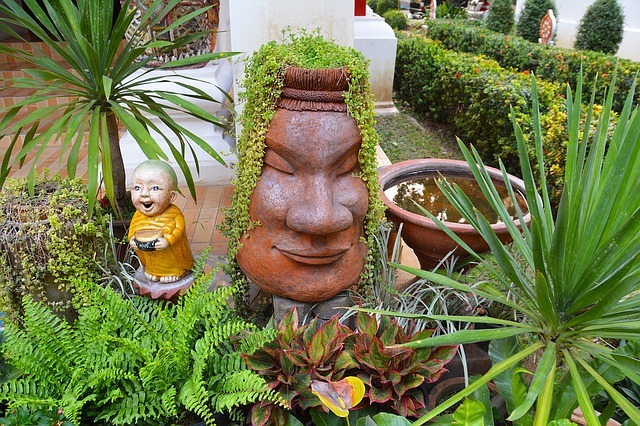 Cultural gardening traditions are practiced and shared. Pride in the neighborhood increases. 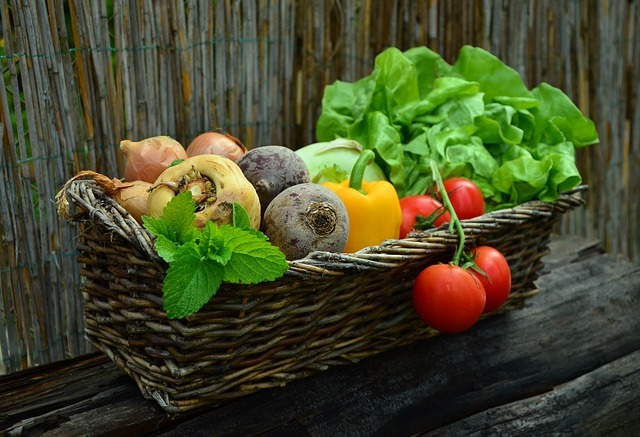 Seasonal food production improves well-being, fosters healthy eating habits, and creates awareness of how food is produced and why that matters. Informal teaching engages active minds. Social gathering spots increase neighborhood harmony. Rainwater harvesting leads to environmental awareness. 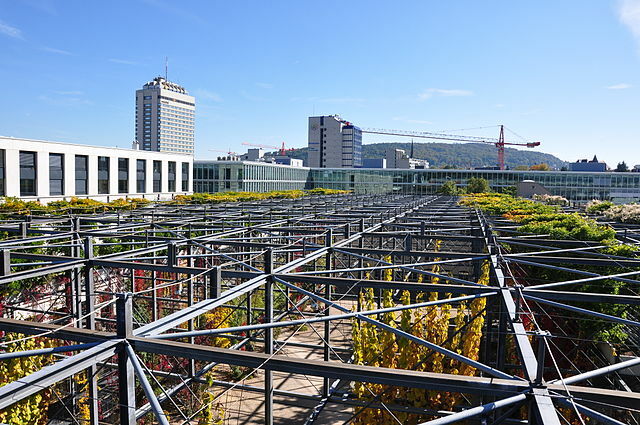 Gardening connects urban dwellers to their rural roots. Identify space that could be donated for a garden. Look at churchyards, school or library lots, housing organizations, or abandoned property. Identify resources to help you get started, such as neighborhood institutions. Enlist local politicians or organizations to help secure the land for long-term usage at a nominal fee and assist with insurance and other technicalities. Create a core group of at least a dozen volunteers to raise funds, work on design, organize volunteers, and establish rules and regulations. Organize meetings to identify the people and resources needed. Reach out to those with special skills that might not be directly related to gardening, such as grant and flyer writing, light construction, site searching, and planning. Determine what the community wants out of the space: quiet contemplation, a place for children to play, plots to raise food in? Establish a core group to maintain the land. Appeal to local Master Gardener programs for volunteer assistance. Reach out to your local university Cooperative Extension for help securing supplies and resolving bureaucratic issues, such as cleaning up toxins. Develop a fund-raising strategy that starts with the group and reaches out to local individuals and businesses. This kind of support highlights the importance of the garden to the neighborhood and includes something lovely with a cast stone water feature. I recently visited a community center that was doing something really cool. They had taken an old abandoned warehouse and converted it into a large indoor community garden. They were already dealing with a lot of disadvantaged youth from the neighborhood and they gave each of them a small plot inside this garden warehouse. The children are completely responsible for the plants they planted, for taking care of them, for doing most of the landscaping and for harvesting whatever fruits or vegetables they may grow. Just having this little bit of responsibility has made a huge different difference in their lives. But what also helped them was seeing food being grown in front of their eyes. These were inner-city children who had never witnessed something like this. What sounds completely mundane to a farmer or anyone who’s been out of the city, must have seemed like a complete miracle to these kids. Now obviously growing a huge garden like this is not going to be cheap. The largest expense, of course, are the lights. Plants need light and they don’t get any of it inside a dark warehouse. Not much at least. That’s where the community really came together. Donations poured in from all over the region that allowed the community center to buy grow lights and all the other equipment they needed. First they bought simple T5 fluorescent tubes, but they soon realized that these were not very efficient. They ended up switching to MH bulbs during vegging and HPS bulbs during flowering. This was much more efficient but it also created a lot of heat and ate a lot of power. But these lights were relatively inexpensive. The donations kept pouring in, though, so they were eventually able to replace all of these lights with full-spectrum LED grow lights. These are much more expensive, but once you’ve made the initial purchase, they’re much cheaper to run. They also much easier to run and maintain, so the kids were able to run everything themselves. They learned about plant grow cycles and changing the length of daylight artificially. They also learned about watering needs, soil pH and various other technologies necessary when growing plants. Every morning before school, these kids go and tend to the garden for a bit. Their school also gives them a free period or two, which is not hard to do given all the time wasted at most public schools. The kids use that free period to head over to the warehouse and spend some more time with their garden. After school, most of them go back and do even more gardening. Basically they use all their free time to garden. They do this voluntarily and are having a great time. Tending to this community garden is keeping them off the streets and keeping them out of danger. The organizers of this community center are to thank for this wonderful idea. They had it and they set it all up they got it all organized, hired the landscaping expert and they still run it. We thank them so much for this. We also get tons of fresh tomatoes out of it! On top of these people, we must thank everyone in the community for supporting this idea and for their generous donations. You can see a list of donations on the community center website, but we will just thank them in general here. We don’t want to single anyone out on our site. So again, thank you so much for your generous donations that have allowed the community to provide these children and their plants with the best indoor LED grow lights available. The kind LED K5 XL 1000 units that are each lighting an individual child’s plot are a true miracle of technology. They have grown some wonderful vegetables and fruits and the children have taken those and have sold them at the local farmers market. They are allowed to keep the profits, which makes this whole endeavor even more exciting to them. They are basically able to run their own little business. I don’t imagine that many of them will go on to become farmers later in their life, but this isn’t just an experience in farming and gardening. It is also an experience in running a business and that will help them throughout the rest of their lives, whether they stay in their little town or whether they move elsewhere in the US or the world. What a wonderful community centered idea and a wonderful way to make use of an old abandoned warehouse space! Here at growing food, growing community, we advocate making your own food. Not only do you save a lot of money over buying your groceries in a store, you also know exactly what you put on them. You know there are no pesticides, unless you use them of course, or any other chemicals on your food. You can rest assured that you and your family are not being poisoned. Also, most people will agree that the vegetables, fruits and herbs you raise yourself simply taste much better than the ones you buy in a store. That takes care of the growing food part of the equation, but what about the growing community part? Well, not only do we advocate growing your own food, we advocate growing food for the whole community. There is even an association dedicated to this. Perhaps your family grows potatoes and corn. Another family will grow apples and something else. A third family will grow yet other things. This way, everybody gets everything they need. It would be impossible for each family to grow all the fruits, vegetables and herbs they consume. But if everyone grows a few things only, and grows them well, and then shares amongst each other, it works. 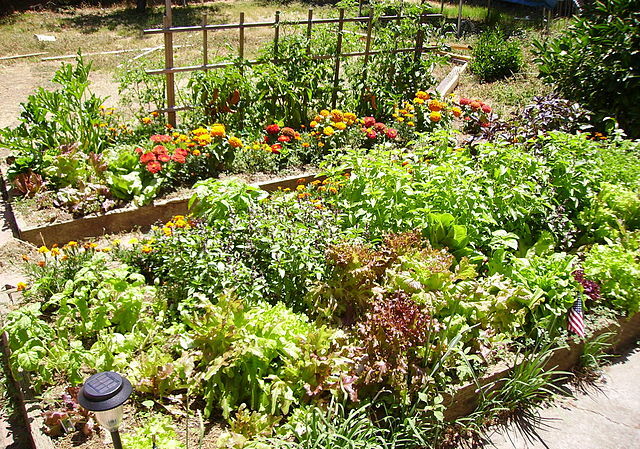 You could even exchange the foods for money, in which case you would basically have a community-wide farmers garden. Easier though, is putting all the food together and rationing it out amongst the families, at least the ones who want each individual item of food. 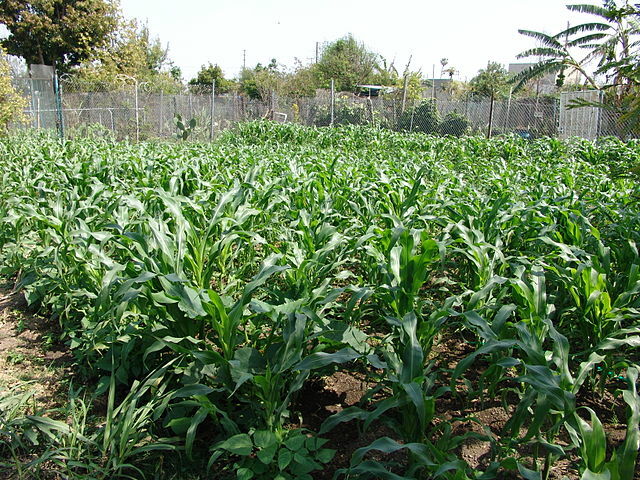 Learn much more about community gardens if you’re interested. One of the biggest participants in this would be the local schools. Not only can they grow a huge portion of the town’s food supply, since they have a lot of students to use as labor, the process of planting their own food is also a great educational tool for the students. Knowing where food comes from is important, especially in today’s convenience- based society. It is also important for students to see the benefits of growing their own food, and more than that, growing it organically. They need to see that there are alternatives to supermarket food. More importantly, they need to see that there are alternatives to the overly processed food sold so heavily in our supermarkets today. What does your community currently do? Does it have any kind of growing programs like this? Do the local schools teach students about organic gardening? A lot of schools say they don’t have the land to do this and they might be right. I say use some of the land appropriated for the various sports as a garden. Sports are completely unimportant, but learning how to sustain ourselves on this overpopulated planet is vital. Even if there is no space outdoors, there are always going to be unused rooms at schools. And if not at schools, somewhere in the community there will be plenty of unused indoor space. Why not grow your food indoors in an indoor garden? You can use a hydroponic system or a regular soil system, but growing food indoors saves a lot of space and it means you can grow year-round. Yes, you’ll need to spend money on grow lights and, if you choose to go with the modern LED grow lights, this can be a bit expensive. But you do save money in the long run over HPS grow lights, since the LED ones use far less electricity. Fluorescent lights are another option but only if you have a small garden and if you’re growing for the whole community you probably don’t. And this is not just for schools. Even for individual families, we also recommend growing indoors. You can grow larger plants outdoors and then move the small plants indoors. Grow your herbs in your indoor garden and maybe some smaller vegetables as well. If few want to get a program this this started in your community, but don’t know how to begin, get in touch with us. Or get in touch with your local gardening group. Either they or we will be very happy to help you set up a program like this. We also found this helpful checklist for getting a gardening program going in your local community. We know how important it is to the survival of the human race and each community that does their own gardening like this gets us one step closer to saving our planet. Grow your own food, grow it indoors, grow it outdoors, grow it wherever, just grow it. Stop buying it. Want to Buy the Best Grow Lights? You Need A Guide. So you want to buy some grow lights for your brand-new indoor garden? Well, what are you waiting for? It’s really easy, right? Actually, it’s not that simple. It would seem like it’s no problem at all to simply browse the various grow lights for sale online and choose either the cheapest one or the biggest one or most powerful or whatever feature is most important to you, but it’s not. The problem is that there are so many different options and most of them are actually not good ones. The sad truth is that most grow lights on the market, especially when it comes to LED grow lights, are not good at all. I’ve heard from so many people who ended up with a really crappy plant light, and not only LED plant lights. They brought HPS light fixtures and fluorescent light fixtures that haven’t worked well either. The problem is so many companies are selling the same cheap lights that are made in China and slapping different decals on them. They create their own brand and then charge more for the exact same light that you can buy on a Chinese website for much less. So how do you know which lights are good and which ones are ripoffs? 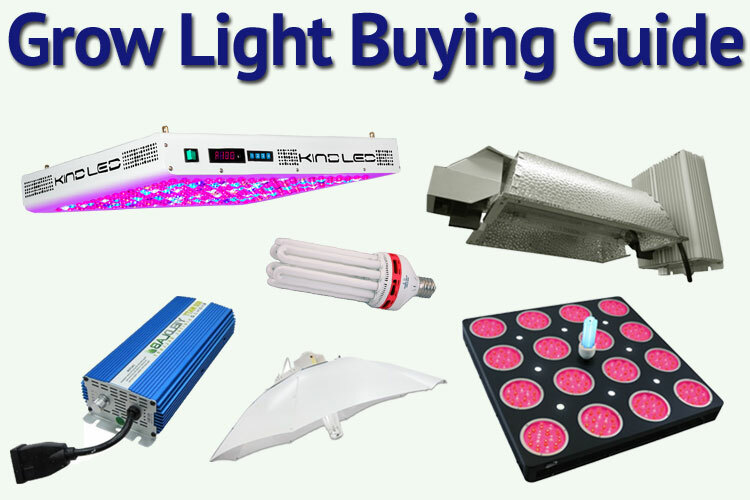 What you need is a buying guide that helps you choose the best grow light. A guide like this would take you step-by-step through the various features of grow lights and help you choose the exact one that is perfect for your needs. The one I linked to above, actually begins by asking a few simple questions to help you choose between fluorescent grow lights, HID grow lights and LED grow lights. Once you’ve made that decision you’re directed to a new page where you look at the features that matter the most to you and then are recommended an appropriate grow light. There is no chance of you buying from some scammy company, either. I’ve talked to the owners of that website personally on the phone, to verify that they indeed fulfill the promise of only offering quality lights. Their range of products is not huge yet, but the brands they do offer are all proven to grow marijuana as well as many other plants. 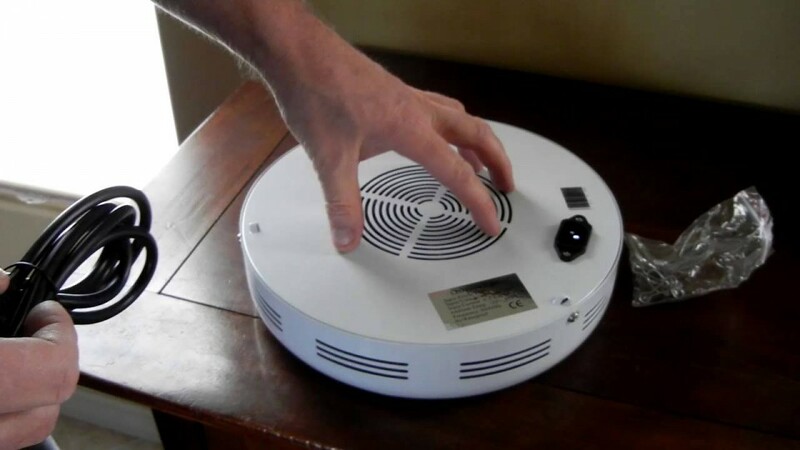 So whether you have your own indoor cannabis garden or you are growing your own vegetables and herbs indoors, the guide to helping you choose your own grow light that can find on that website is a great start. From there, you would be guided to the LED grow light buying guide and the HID grow light buying guide, both of which go into much more detail. Once you have worked your way through those guides, you have a much better idea of what light you need. In fact, you will most likely know the exact light you need and all you have to do is make a purchase. Again, I want to reiterate just how important a guide like this really is. Even a website like Amazon, that offers a ton of grow lights, many of them good quality lights as well, also offers many lights that are just people who created their own brands and are importing some cheap crap from China. How can you tell these apart from the quality ones? That’s the problem. It’s not always easy. Some of the quality lights are sold directly by the manufacturer and you can usually trust those. Optic LED grow lights like the Optic 6, for example, sell on Amazon as do yield lab, with their range of HID grow lights. However, there are also scam artists selling very similar looking lights, that are almost identical, but that are much cheaper quality. You want to make sure not to buy one of these, which is why I generally recommend against buying high-quality grow lights on Amazon. The same goes for eBay or Home Depot or any of those stores. Buy from a reputable site like grow light central or grow light harbor or the grow light superstore, or any similar sites. Grow light central is my favorite and their buying guide is by far the best. In fact, most sites don’t even have a buying guide and the ones that do are just a few lines that were written by a five-year-old Filipino kid. That’s of no use to you. You need a real guide to help you buy the right grow light. We’re not the first to ask this question. You can find more info here. That is exactly why LED grow lighting are so crucial. However, finding the very best full spectrum LED grow lights are not that simple, that is why we’ve assembled this resource — an excellent all-inclusive guide that will help you find the grow light that could fit your requirements. 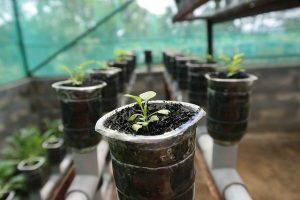 Many indoor growing plants enthusiasts have commenced to embrace the concept of hydroponic gardens. One way for an individual to get the most out of their high upon a garden is usually to install ninety days 1000 watt grow light for sales expand light. A grow light can be a vital component involving any indoor yard since plants simply will never grow to their particular full potential if they cannot get an adequate amount of light. Of training course, not just about any light will do about indoor gardening. For the plants to thrive, they must receive the right amount of light from your right spectrums. This is one reason a 90 unit of this type is an excellent purchase. It is not only hydroponic gardens that will benefit from a new 90 Watt BROUGHT grow light, however. Whether a particular person is preparing plants to get planted in a new spring garden or is considering growing some spectacular flowers indoors, virtually any type of plan or garden can make use of a unit of this size and form. One of the biggest benefits of having a 90 Watt BROUGHT grow light instead of many of the other lighting solutions is that the particular light itself is usually placed quite close to the plants.checkout more reviews for this topic. When an individual uses an ordinary incandescent light instead of a 90 Watt BROUGHT become light, they should take care to set the right number of the distance the light plus the plant. This is because incandescent bulbs put out much heat. Although heat is usually beneficial to plants in most situations, having a bright light too close can, in fact, scorch or burn up the plants or even dry them away altogether. 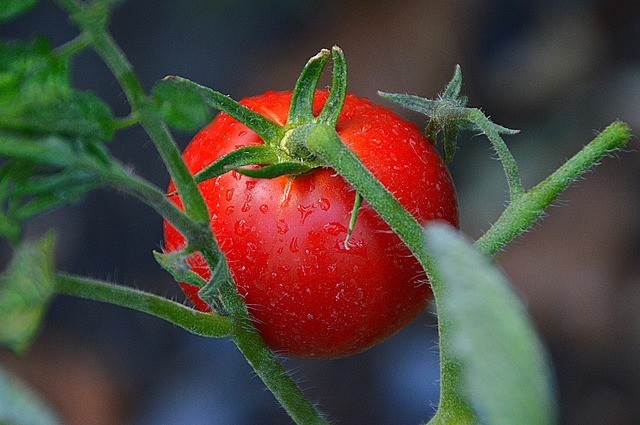 Because there is virtually no heat at a 90 Watt unit (hydroponic lighting) of this size and form, this is not something the average gardener will have to be concerned about.go to http://www.digitaljournal.com/pr/2763185 for additional information about gardening. Another benefit of having a 90 Watt BROUGHT grow light would be the incredible energy efficiency that emanates from using LEDs or even light emitting diodes. A unit of this size and type uses only a small percentage of electricity required by way of a similar incandescent light. They are all the more efficient than many of the top fluorescent lights out there. In fact, there is not any alternative to a new 90-watt energy source of this finding a light-weight that uses microscopic energy as feasible while still offering bright, healthy light-weight. Hence find full spectrum LED grow lights. LED Grow Lights- what you need to know? LED stands for Light Emitting Diodes. These diodes are small in proportions and used in high numbers to emit light- grow lights for indoor plants. They are used intended for multiple purposes like the illumination of lamps, bulbs, a digital watches, remote controls, digital appliances, growing plants as well as flowers, and so in. The small size of such bulbs enables them to adjust to easily into a digital circuit. They have a real life and are highly efficient types of light. They are suitable for personal and commercial requirements for full spectrum LED grow lights, like this 90w beauty. They are also used as BROUGHT ABOUT night lights, Christmas equipment and lighting, strip lights, tail equipment and lighting, decorative lighting, car equipment and lighting, stage lighting, traffic equipment and lighting, and train lights. The multi-utilitarian quality of such lights has made them global. Not to mention additional advantages like preserving the surroundings and saving money. Here are the benefits of LED grow lights. • Efficiency – LED sends out PAR light, i. e., photo synthetically active rays, which offer greater productivity and better results. • These lights are widely used for growing plants; they accelerate the growth considering that the wavelength of light that is emitted from them is strictly what the plants will need. • Plants have an explicit dependence on wavelengths for conducting the method of photosynthesis. Why CHOOSE on full spectrum LED! 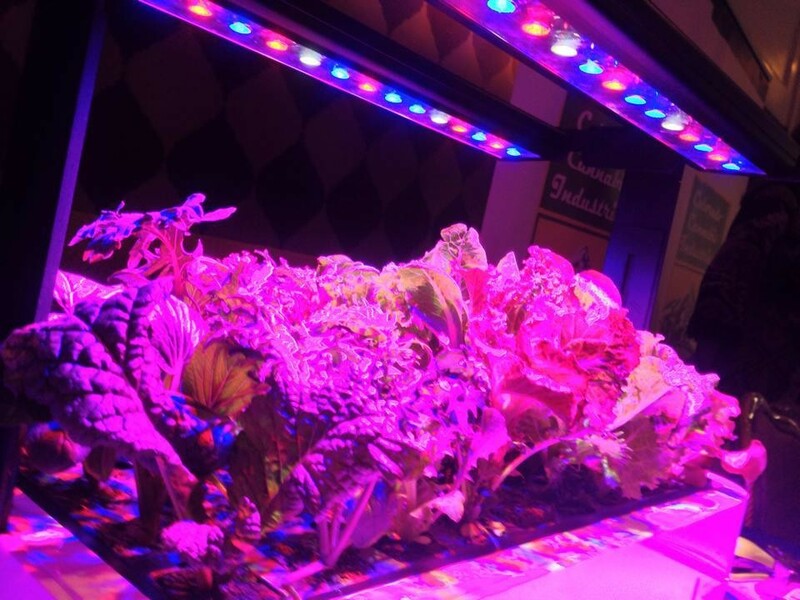 Full spectrum LED grows lights equipment, and lighting will produce light at the right frequency and wavelength. Additionally, the range of red, as well as blue light, may be balanced for optimal outcomes. For the best plant light penetration, you will need light from multiple sources plus reflective surfaces. The leads do not have any lenses so that they emit at a large angle. The light that doesn’t travel straight down to the plant gets reflected off reflective Mylar plastic sheeting about the growing area. My light panel is running at 30C plus produces absolutely no unwanted noise. Lastly, I do believe light “penetration” (or light diffusion), and power are crucial. A quick market research on it, I read that people recommend 25-50 watts electrical (LEDs) per of growing area, for intensive growing like full sun. When LED grow-light merchandise cost around $4 / Watt electrical, this means a significant investment of $100-200/ of growing location. At least reference this thermal operating characteristic chart/graph within the LED device datasheet. Check more on 1000 watt grow light for sale.